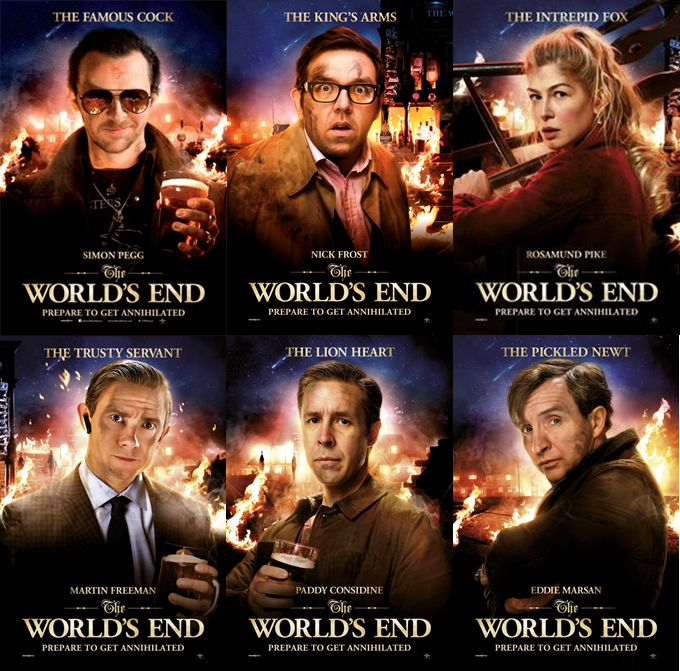 The World’s End is coming….. The final film in the Blood and Ice Cream trilogy or the Three Flavours Cornetto trilogy is upon us and we finally get our first taster. Yes it’s only a poster but it’s something. 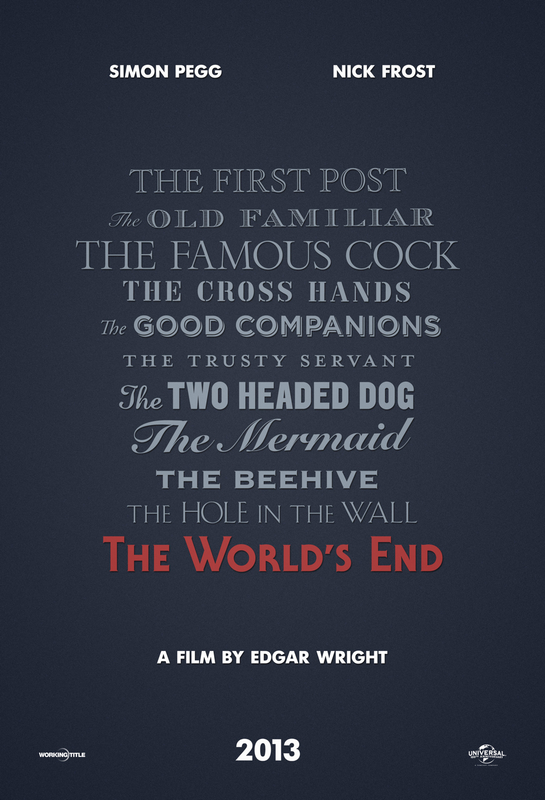 Well it’s going to be centered on a pub crawl with the final pub being The Worlds End. What happens on the way? 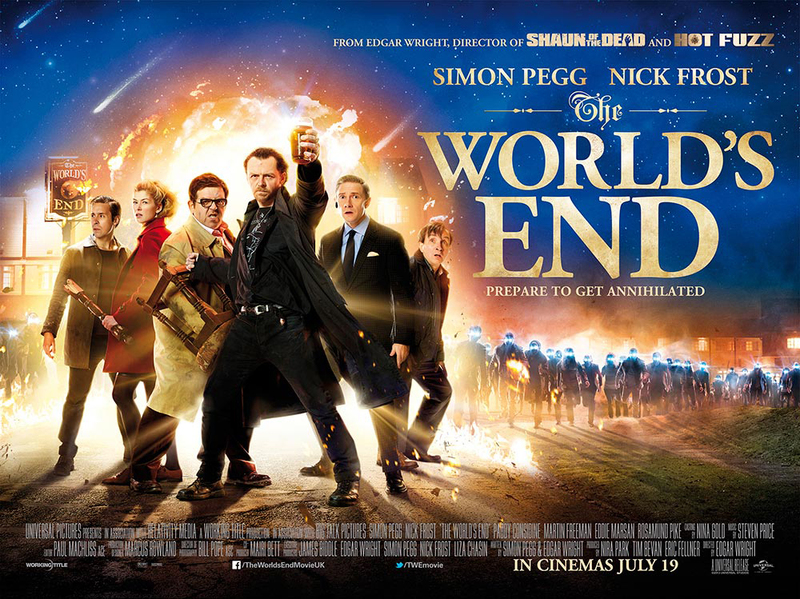 Who knows but we can expect many laughs, some awesome death scenes and of course a mint choc chip cornetto. Hot Fuzz had an original cornetto with the blue representing the police. We can expect a mint choc chip cornetto with the green colour possibly representing a Sci-fi element to the film. Does that mean we are going to get aliens? Only time will tell.